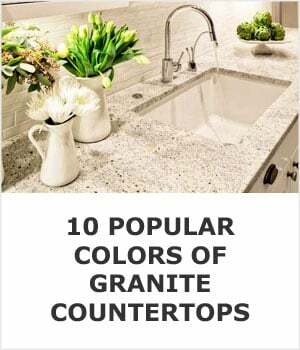 The two most popular kitchen countertops right now are granite and the brand of quartz called Silestone. The list of differences is long and full of surprises. As a matter of fact, they aren’t very much alike at all. Let’s start with quartz’s biggest selling point. Natural stones like granite have a nasty habit of being porous and of having cracks that can’t be seen with the naked eye. These pores and cracks provide a place for stains to settle and bacteria to thrive. To stop this from happening you need to coat them with a sealant about once a year. The sealer prevents stains and bacteria from getting into those tiny hiding spaces. All quartz brands solve this problem because of their composition. Let’s cover that next. The ‘magic’ of quartz comes from the resin that is used to make it. It’s made of up to 50% crushed quartz (by volume), 25% silica and other stone, while another 25% is the resin used to bind it all together. Granite is an igneous rock. It’s quarried from the earth in large blocks which are then sawn into slabs to be fabricted into finished kitchen work surfaces. The resin used to create quartz countertops is not a natural product. It’s made up of chemicals and dyes. 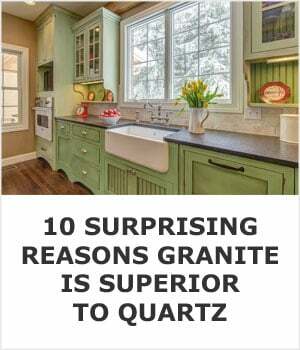 The ‘quartz’ part of the countertop is natural though. Just don’t be fooled by their name into thinking that they are 100% stone. If you want to know exactly what’s in them you can get the MSDS (material safety data sheet) here on their website. Manufactureres are obligated by law to publish these so that anyone working with the product knows what’s in them. You’ll notice that they are up to 25% polyster resin and up to 50% actual quartz with other fillers making up the rest. The resin in Silestone literally can’t take the heat. If you put anything hot on it, like a pot directly from the stove, there’s a good chance it will burn. There are even horror stories of crock pots causing burn rings on quartz but I haven’t seen any for Silestone specifically. You won’t have this problem with granite since it’s literally forged in fire. Put whatever you want on it and it will be fine. Baked right into Silestone’s resin are microbe killing agents. Unchecked bacteria can multiply into the millions in just a few hours, but these bacteria and virus killers can take care of them before they get the chance. Granite is a little more problematic here. Not only will it not kill them, but if you don’t seal them they can actually offer places for them to flourish. You should seal them yearly and disinfect with isoprpyl alcohol regularly. 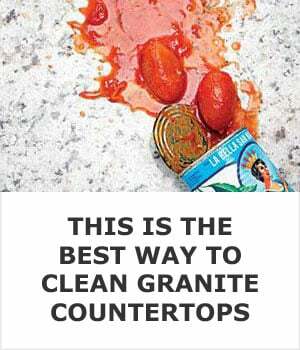 Accidents happen and it’s not uncommon to chip a countertop. 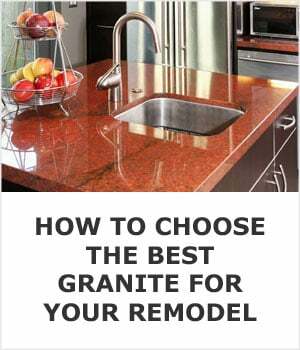 The good news is that in just about every home improvement store they sell repair kits for granite. You fill the chip with epoxy, let it cure, and it’s usually hardly noticeable anymore. With Silestone countertops it’s much more complicated and should be left to the professionals to try to match it as closely as possible. Just be warned that a lot of fabricators will turn down quartz chip repair work because too often the consumer isn’t happy with the outcome. The problem circles back to the resin again because you can’t polish the repair to blend it in. When you polish the surface enough heat is created to literally melt it. 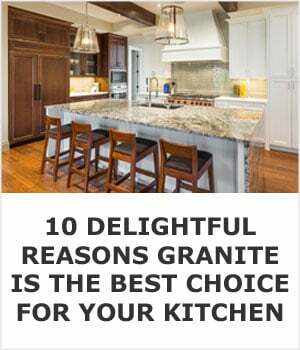 Prices vary a lot depending on where you live, but you will always be able to find granite that costs less than quartz per square foot. 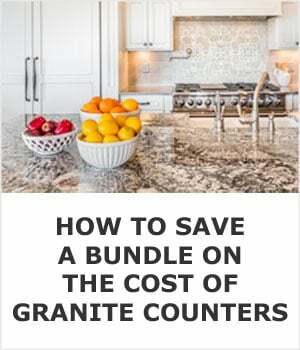 You might have to shop around a bit to see what your local fabricators and stone yards have in stock, but it will be well worth the effort if you need new countertops but don’t have a large budget. It’s a little known fact but direct sunlight will fade any brand of quartz, and Silestone is no exception. In just a few weeks of exposure dark colors will lighten and whites will begin to turn yellow. The pigments used to add color to the resin don’t mix well with UV rays. Sometimes when we are in the cooking zone splatters and spills happen and we don’t wipe them up right away. 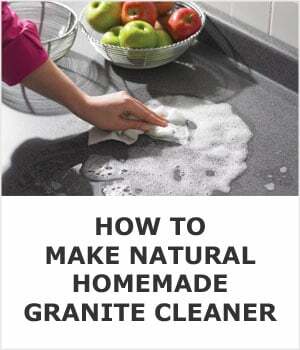 It’s common for stains that sit on granite surfaces to be absorbed into the stone. With Silestone you can just let them sit there until you get a chance to wipe them up. Even if you let them sit there until the next morning they’ll come right up with a bit of elbow grease. 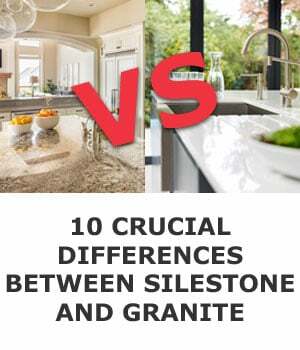 And there you have it, 10 important differences between Silestone and granite countertops. 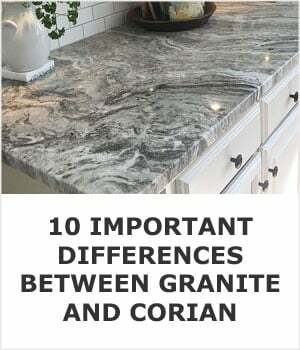 If you enjoyed this article on this page we make a case for choosing granite as well as touch on a few topics we didn’t here like radon and color options. Have you considered wood countertops? They trap and kill bacteria, look stunning, and just about any damage you do to them can be repaired quickly, making them one of the most underrated options for your kitchen.